Loco SUP team rider Phil May and Fanatic sweeper and Cave Active owner Phil Plume give us there perspective from the weekend’s Paddle Round the Pier shenanigans in Brighton. 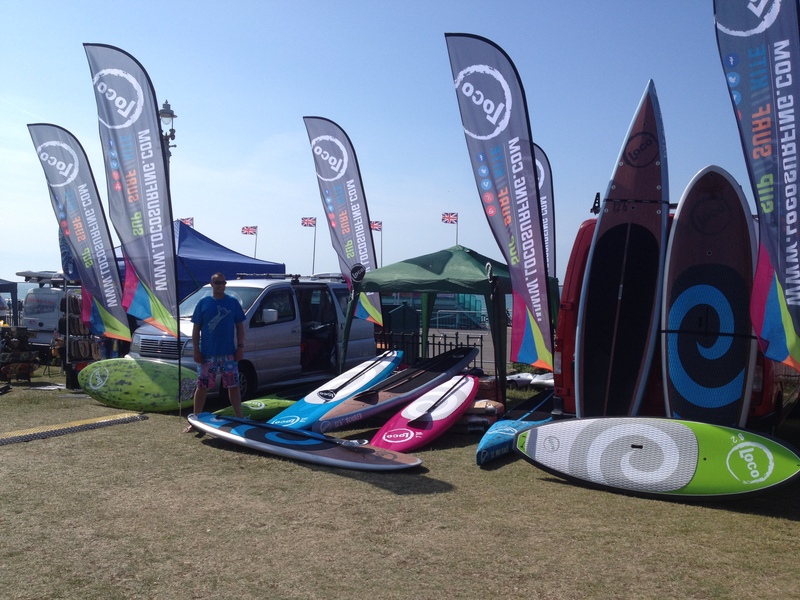 Phil May: ‘This weekend was the hugely successful annual Paddle Round the Pier Festival 2015 on Hove Lawns in Brighton. This festival was started in 1996 by a small group of surfers, led by founder Dave Samuel. Following a couple of years break ‘Paddle’ returned in its current guise in 2006 pulling together the surfing community in a social seafront event which would raise money for charity at the same time. The ethos of the event has remained the same since its inception – “Spread a little aloha-spirit” and have a good time doing it. 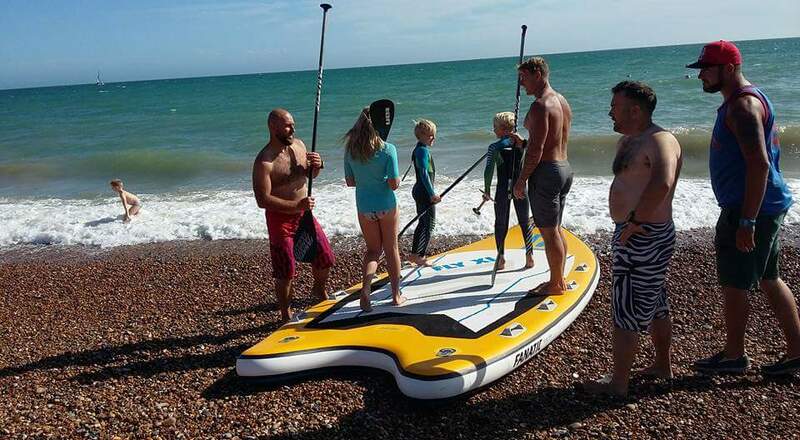 Given that visitor numbers are now averaging 50,000+ it is the ideal showcase for SUP and with that in mind Team Loco hit up Brighton for the weekend. Boss man Joe had the eight hour, 60mph drive of doom down from Newcastle on Friday with a stack of Loco goodies and I had the easy Saturday morning early doors one hour sprint across the south coast to bring the Loco stoke to the masses! Once there we set up our stand making sure that the massive selection of kit we had was well displayed. 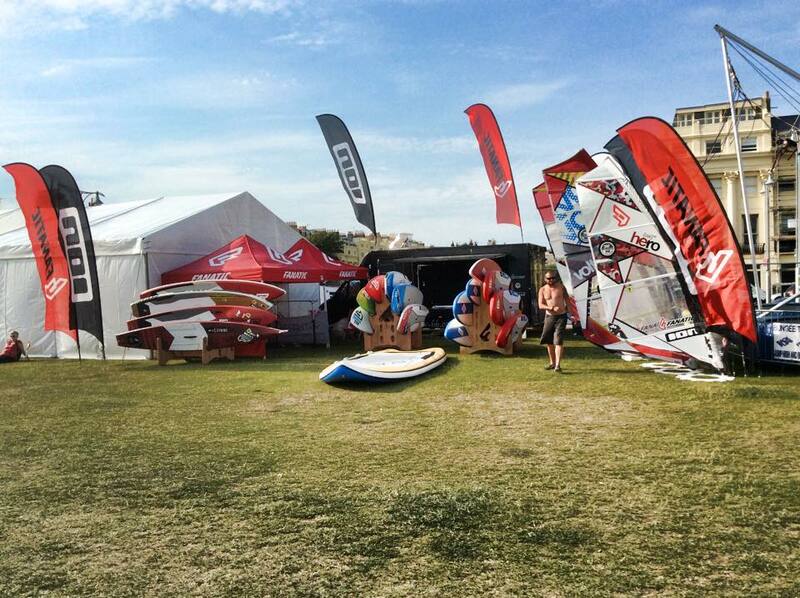 Not just SUP but also represented was our surf and kite lines – something for everyone. All of the usual suspects were there in terms of SUP brands with Starboard, Fanatic and Red Paddle all having a good representation as per usual. What was also nice to see were the relative new guys that were in attendance. Brands like Neptune SUP and even the pack of marauding Fatstick SUP riders with their snazzy new t-shirts. This year’s event even drew attention from the Daily Mail and celebrity endorsement from Made in Chelsea’s Andy Jordan who was there with his city surf brand JAM Industries showing off his latest toys. The SUP race at Paddle has become a staple event alongside the swimmers but has suffered with changeable conditions over the last few years. This year’s race was no different with a considerable onshore breeze making the sea really choppy. Never the less there was a hardy pack of racers all up for the challenge including some people tackling their first race. Out in front were, Cave Active boss man, Phil Plume and Mark Slater from Team K66/Fanatic and they battled right to the line where Mark pipped Phil to the podium. Due to the conditions this was the only race on Saturday but on Sunday it was the groms turn with conditions ideal for the kids time trials. Jack Plume is obviously following in his dad’s footsteps: smashing the course in 58 seconds and picking up a Fanatic Ripper AirSUP for 1st Place. Nice work Jack, enjoy the new board! 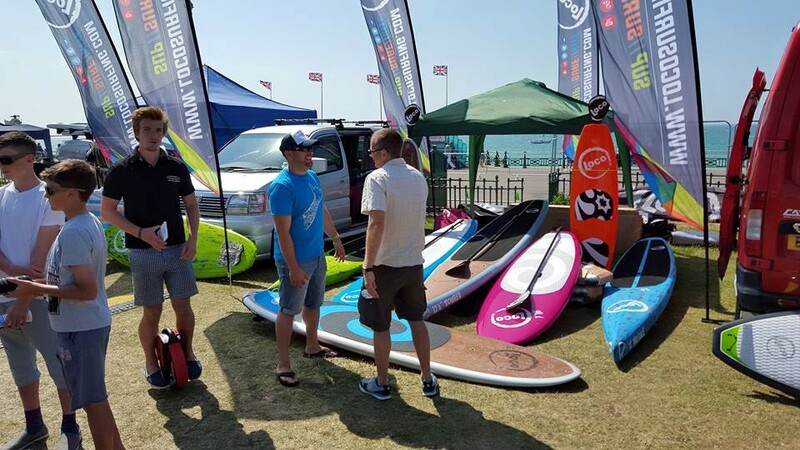 I urge you to attend next years event, with some seasoned SUP racers joining the organising team – not only is the prize pot one of the biggest in UK SUP but there is everything you can imagine on display to do with watersports. Surfboards, boats to art, van conversions, music, skate, land paddling, kayaks and of course stand up are all represented – and more. Thanks to Dave and Ginny and their teams of volunteers putting on another great event and I’ll see you there next year! Phil Plume: ‘Well I’m knackered! And if you attended ‘Paddle’ this year, you probably are too. What an awesome event. If you missed it you definitely missed out. Paddle Round the Pier, to give it its full title is the world’s largest FREE beach and watersports festival. Around 50,000 visitors flock to Hove Lawns annually to attend the festival and donate to three selected charities. The name of the game at this festival is fun, fun, fun, with live music, loads of food, shopping opportunities galore and plenty of family activities. There were plenty of beach side and on-water activities, from open sea swims and skateboard slalom to the highly entertaining paddle something unusual. 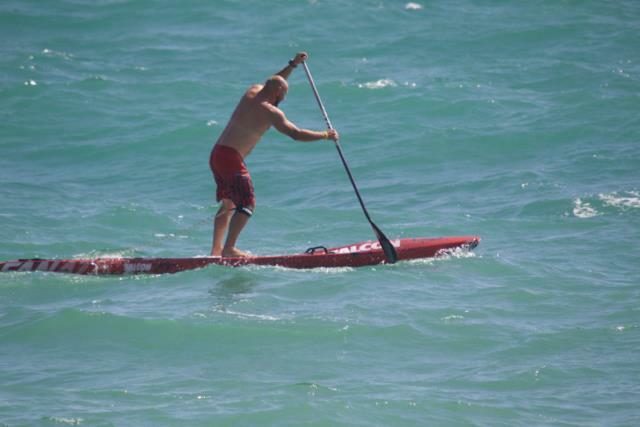 SUP has been a large part of Paddle for a number of years now, and it has always been known for its ‘challenging’ paddle races. Disappointingly this year’s planned race format was scrapped due to poor pre-registration figures. However this was substituted by a pretty epic 4-5km lapped race, including some hard upwind slogs and pretty amazing downwind legs. After a poor start off the line I soon caught up with, and then took the lead ahead of, Mark Slater (Fanatic) and Scott Warren (Starboard) using my Fanatic Falcon and Black Project Maliko combination to work the swell all the way to the bottom buoy. Scott soon fell behind leaving myself and Mark to battle it out right to the line, with Mark catching a lucky wave and beating me to the line by a nose. Day two saw the juniors take to the water for the junior time trials, supported by Fanatic and K66. The prize on offer was out of this world: the chance to win a Ripper Air SUP board. All of the youngsters were amazing. However my boy Jack Plume took the win with a blinding time and buckets of determination. Thanks to all the Paddle crew for delivering a fantastic event yet again and I look forward to joining them next year to help develop the SUP events. Watch this space.